Blue is the color of calmness, harmony, confidence and is commonly associated with masculinity. Along with shades of green and violet, blue is associated with cool colors most probably because it is also the color of the sky and ocean. Warm colors on the other hand are in color spectrum of yellow and red that is associated to energy and warmth. Our featured client here is one that preferred the blue color for his room. 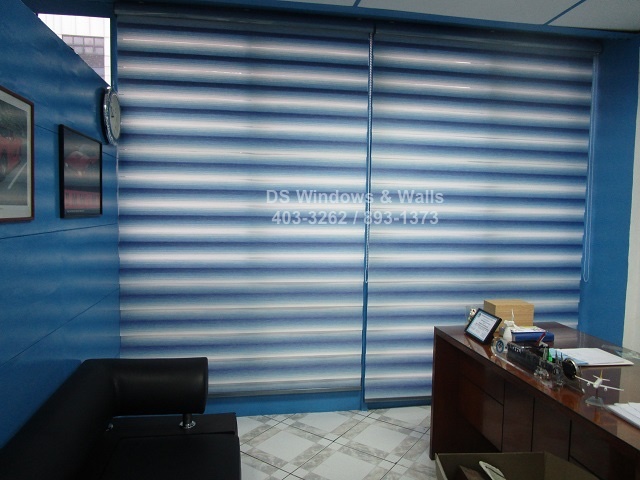 And for that, he chose the Reneevon Gradation combi blinds series. This series is one of our latest lineup of fabric and unlike other combi series which is mostly alternating solid colors, the Reneevon gradation series has scale of blue shades that is in successive degrees that results in a unique amorphous fabric effect that’s both charming and elegant. Its solid part is 10cm and the sheer part is 7cm. Other available fabric colors are sand, olive green, pink, gray, brown and chocolate. This type of combi series also has a color-coordinated valence and bottom tube as seen in the photos above. Depending on your preference it can also be glossy white as seen in the photos below. Color-coordinated valence and mechanism for combi shades sometimes can be more preferable especially for customers that has a strict requirement for the colors of their room. 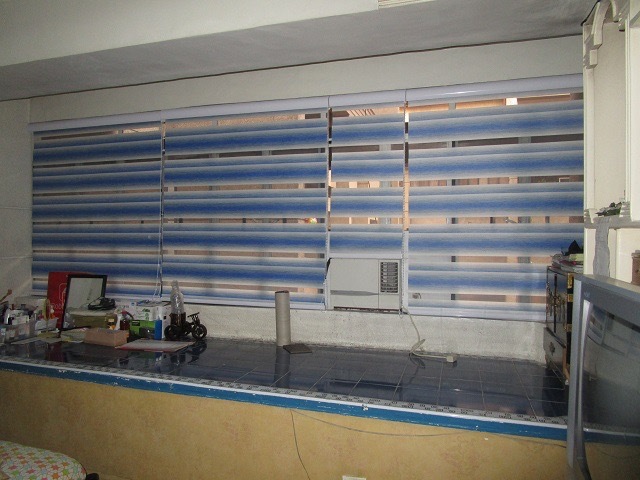 In the case of our featured customer here, his walls are also blue in color and so he prefers a shade of blue color for the blinds’ valence and bottom tube instead of the typical glossy white. For example, a color blue fabric will be color-coordinated with a valence color close to blue like blue/gray while a beige fabric will be color-coordinated with valence color of light gray or beige. Some of the available valence colors are brown, garnet, sand, choco, walnut, bronze, sapphire, silver, and light beige. To avail our free measurement within Metro Manila, you may call us (02) 403-3262, (02) 893-1373 or (02) 668-9668. 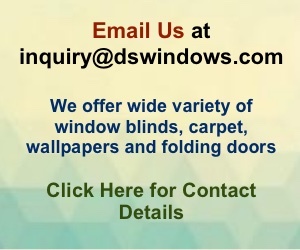 You can also visit us at our mall sales branches to see our wide range of window blinds and shades.